“War is hell” so the old adage goes. Far too true for the 16 German soldiers that survived the crash of a Zeppelin in the North Sea, only to be left to die by a British skipper and his crew. 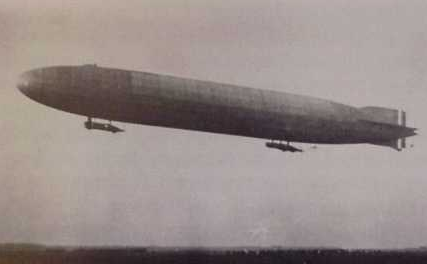 It was January 31, 1916 when nine German zeppelins headed out to bomb the English Midlands. 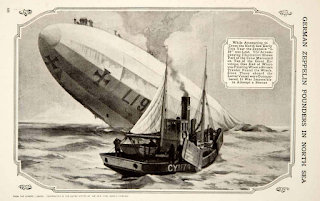 Commanded by Captain Lieutenant Odo Lowe, the L-19, a German Imperial Navy Zeppelin, was on her first bombing raid after having spent the previous autumn as a scouting vessel over the North Sea. The surprise raid was one of the largest launched against Britain during WW1. 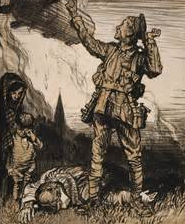 It was considered a success with the Germans dropping close to 400 bombs on the villages of Burton on Trent, Birmingham and Tipton. The L-19 caused no damage, unlike her sister ships, which killed more than 70 people and injured another 113. But on her return flight, engine problems began to develop for the L-19. 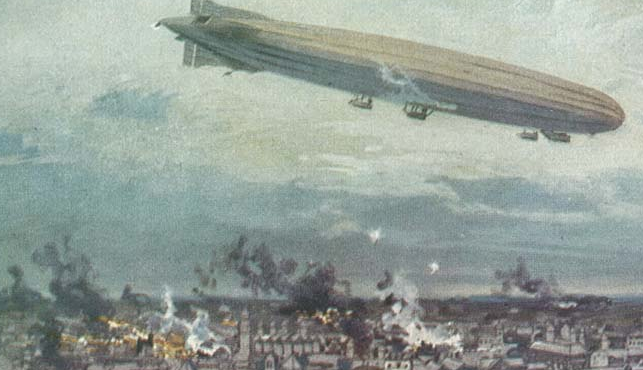 With a malfunctioning radio, and three of her four engines failing, the airship came under fire from the Dutch as it drifted over Holland, a neutral country. The shooting punctured the gas cells, and the airship crashed into the North Sea during the night of February 1 – 2, 1916. 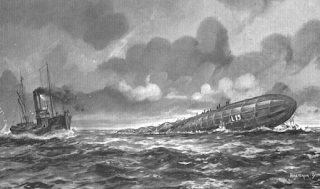 Two crew members were killed, but 15 men and Captain Lowe survived. The next morning, February 2, the King Stephen, a British fishing vessel, arrived at the wreckage site, after following the L-19’s distress signals for most of the night. The trawler’s skipper, William Martin with his crew of nine men, waited until daylight before approaching the broken zeppelin. 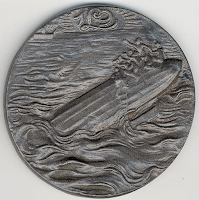 There they discovered 16 German soldiers waiting on top of the sinking airship. Captain Lowe requested that his men be rescued, but Martin refused to give aid. Instead he sailed back to his homeport of Grimsby, Britain before reporting the downed airship to authorities. The weather was growing worse as the airmen watched Martin’s vessel disappear. Those that could wrote out short messages for their loved ones and placed them in bottles to be thrown into the sea. 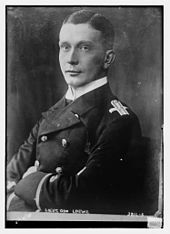 Martin said later that he refused to rescue the airmen because he was afraid the Germans would overpower his crew and take control of the boat. Almost 50 years later a remaining crewman reported that Martin had been fishing in prohibited waters and knew if he’d returned with rescued soldiers, he would have had to report where he had been, which would have resulted in his being banned from fishing for breaking the law. Instead, the skipper gave Royal Navy authorities false coordinates for the downed zeppelin so no one would ever know he'd been fishing illegally. The British, and the world, were divided on their sentiments. Some saw Martin’s act of abandonment as necessary in order to protect his crew. Others saw it as an act of retribution for the Germans having bombed civilian targets on January 31. But still others felt that Martin’s refusal to save the men had been unpardonably cruel. The thought of leaving 16 helpless men to drowned in the North Sea – enemy or not – did not sit well with the morality of British citizens. 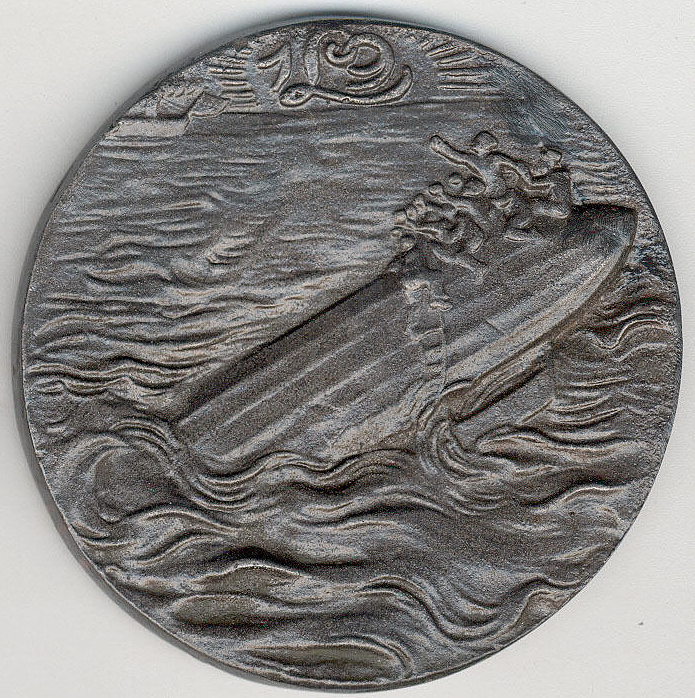 The Germans used the incident for propaganda with an anti-British medal designed showing the men on the L-19 being abandoned to the sea. The King Stephen never sailed again as a fishing vessel. The British Navy took it over as a Q-ship, and the Germans sunk it three months later. Captain William Martin died just over a year after the incident of heart failure. During his last year, Martin continued to receive letters and messages of support, along with death threats and hate mail.